Discussion in 'UFC Discussion' started by Degen Gambler, Aug 31, 2015. Shave their chest? And why do they do it? 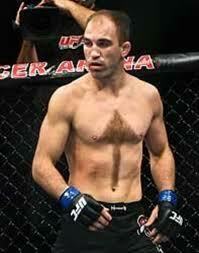 Aerodynamics, or as is the case with Ebersole, to forward hair to his receding hairline? Probably the same amount that shave their legs, and for the same reason. probably irritating to pull on when you're grappling. I have a lot of leg hair and I HATE when grappling or wrestling tug on my leg hairs. the same reason bikers shave their armpits...to go faster. reebok keeps the hair and sells it. PVZ doesn't shave her hair. Speaking of this, what was the deal with Kimbo's chest only shaved on one side? I think a lot of people do it as a courtesy to their training partners. I've grappled with some hair dudes before and the first time you take a hair, sweaty man chest to the face you understand why they'd shave. Congratulations! You win the internet! How do you define a shaved chest TS? Is this shaved or not? Makes sense but for the fight wouldn't you want to grow it out to make it as unpleasant for your opponent as possible? Or at least have some stuble and it could have a sand paper effect. Thats totally a thing! I was in a bjj tournament once and the guy I faced in the finals had me in side control and had like rough stubble on his chest and just scratched the crap out of my face! It was brutal. I did not win haha!